Xinema was formed by three friends. Originally, way back in the mid 80:s, the members involved played together in a Swedish prog band called Madrigal. At that time the music was quite inspired by the likes of Rush, Genesis, Yes, Kansas and Styx and was leaning heavily towards complexity and skillful playing. During that period, a lot of songs were written and the band toured around in Sweden. As that band split up in the early 90:s, the guys stayed in and out of touch with each other during the following years, and worked together as well as individually on many different projects. Originally, way back in the mid 80:s, the members involved played together in a Swedish prog band called Madrigal. At that time the music was quite inspired by the likes of Rush, Genesis, Yes, Kansas and Styx and was leaning heavily towards complexity and skillful playing. During that period, a lot of songs were written and the band toured around in Sweden. As that band split up in the early 90:s, the guys stayed in and out of touch with each other during the following years, and worked together as well as individually on many different projects. By the summer of -98 however, the guys occasionally got together, and came to the conclusion that re-rarranging and re-recording of some of the older material would be a good thing to do. One thing led to another and in august of 2002, the band?s debute, the full lenght cd Different ways, was released by Unicorn Records. In essence, with a few exceptions it's a compilation of the older songs from the Madrigal era. Around 2001 though, when Different ways was completed, another band called Madrigal had emerged on the web. 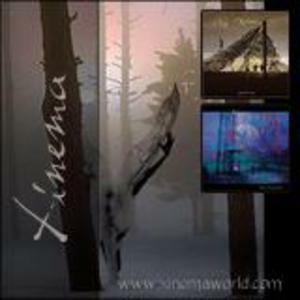 Since the band at that time was newly reformed, a namechange was inevitable, and they decided to go for Xinema. The new full leghth cd Basic communication, is the first genuine Xinema album with exclusively new material. Presenting an album of great variety and dynamics, Xinema?s aim as usual, is to deliver a good set of relevant and consistent songs. The band?s motto is: "-A good song is always a good song, regardless of genre." Speaking of which, you?ll definetly find Xinema in the rock department, be that with an artful or sometimes progressive twist. The new cd comes across as more powerful, articulated and with a bit more attitude than its predecessor Different ways. This is a band that will spare no effort in the process of maintaining their solid musical integrity, and has always done things their own way.